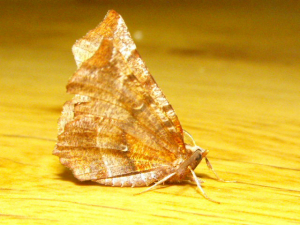 Observation - EARLY THORN MOTH - UK and Ireland. Description: A big butterfly like moth brown in colour like a dead leaf came to porch light. A big butterfly like moth brown in colour like a dead leaf came to porch light.